There are 8 other images of this object. This object has no known copyright, and as such we offer a high-resolution image of it. See our image rights statement. 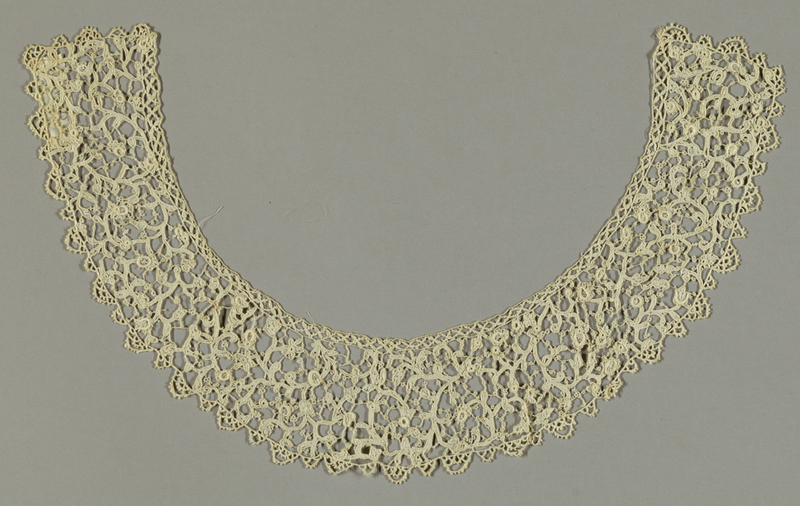 This is a Lace group. It is dated ca. 1725 and we acquired it in 1967. Its medium is linen and its technique is mid to late 17th c needle lace, commonly called rosaline. It is a part of the Textiles department.